On January 14th, Alan Rickman passed away from pancreatic cancer, leaving behind an impressive filmography and a world that will greatly miss his presence. I was very young when I was first introduced to Alan Rickman. Eleven years old—same as a young Daniel Radcliffe and Harry Potter—when I met Professor Severus Snape. In the books by J.K. Rowling, Snape is described as a greasy-haired, hawk-nosed man with an oily voice, who instantly takes a disliking to Harry. Alan added something else to Severus Snape: an air of mystery and elegance and just plain cool, delivering lines with easy grace mixed with sarcasm. 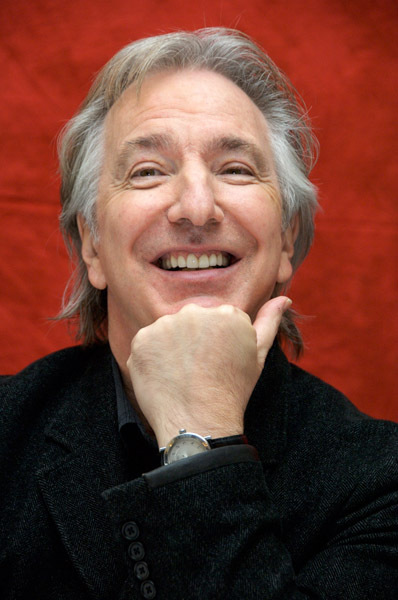 At eleven, I may not have liked Snape, but I could not deny that Rickman was…special. When I got older and started to look at the people behind the characters on the screen, I began to formulate a theory: behind the best villains onscreen are some of the best human beings the world of film and performing arts has to offer. Alan Rickman was no different. Those who knew him describe him as the consummate English gentleman: polished, courteous, and elegant. But they also describe him as warm, funny, gentle, and wise—and free with his wisdom. To the youngsters the world now knows as Harry Potter, Ron Weasley and Hermione Granger, Alan Rickman was mentor, advisor, and example, going above and beyond even after Harry Potter ended. Daniel Radcliffe (Harry Potter) has said that Alan came to see everything he ever did on stage in London and New York, and he didn’t have to. Alan Rickman was a wonderful, warm, generous man. A master in his field, but he was more than that. Friend, brother, godfather, uncle…and a face and voice beloved by thousands. Goodbye, Alan. We will hold you in our hearts forever. One week ago, the first news I saw when I woke up was that Alan Rickman had passed away. As the news sunk in, my eyes filled with tears. Though I hadn’t seen very many of his films, I’d always known that Alan Rickman was a very special person. I knew Alan Rickman as Colonel Brandon in Sense and Sensibility, and though I haven’t ever seen Harry Potter, I knew him as Severus Snape. But most of all, I knew him as the voice of Marvin in Hitchhiker’s Guide to the Galaxy. A lovable yet completely pessimistic robot, Marvin impacted my subconscious more than I ever knew, even inspiring a character in one of my stories. Though it’s been so long since I’ve seen that movie, I remember Marvin being one of my favorite parts of it. I also know Alan Rickman was unbelievably kind. Even from the little I knew about him, I got an undeniably loving vibe. He had a caring soul, and he really cared about the power of stories and art. After he died, my Facebook feed was filled with photos and tributes. Two of the tributes I saw struck me as especially powerful, since they reflect my own beliefs on how powerful stories can be. Alan Rickman knew this, and he worked to make sure his stories meant something. That's something that fills me with awe and respect. As I read more about him, I become more and more amazed at the depth of the man who left us too soon. 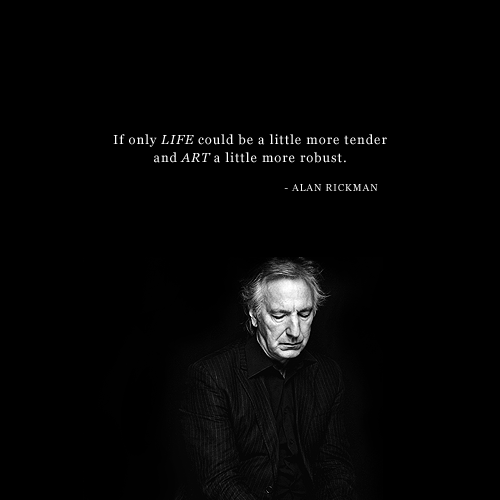 Alan Rickman, you have left your mark on this world. Thank you for giving us your words, your acting, your compassion, and your recognizable voice. You won't be forgotten. “Did you hear that guy from Harry Potter died? The one who played Professor Snape?” The words I overheard from a coworker were spoken casually enough, but they caused me to stop typing and look up in shock. “Alan Rickman?” I asked disbelievingly. This is probably another of those hoaxes, I thought as I typed the actor’s name into Google. The results, however, confirmed that this was no unfounded rumor. 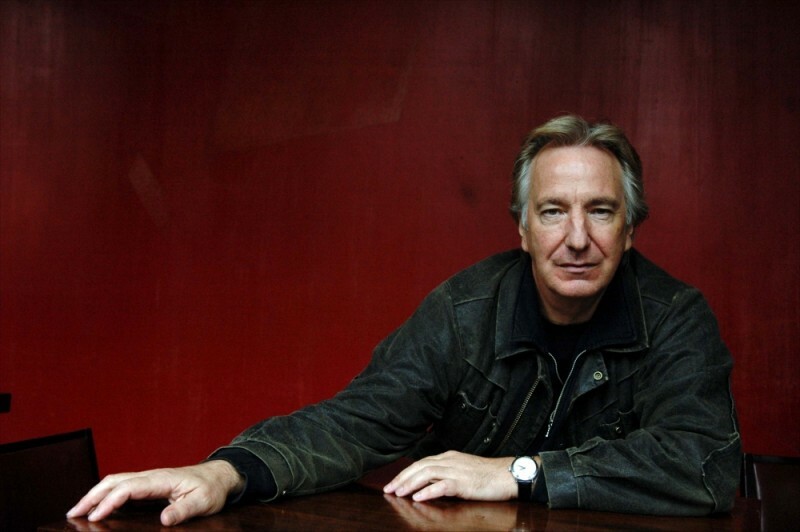 Alan Rickman had indeed passed away on January 14. I was surprised by the news, but I was also a little surprised by the tears that sprang to my eyes. My sadness caused me to reflect on what the British actor had meant to me. Though he was remembered by so many as potions master Professor Severus Snape, he was first introduced to me as Sense and Sensibility’s noble Colonel Brandon. At the age of seven years old, I wasn’t well versed in classic literature, but Alan Rickman’s portrayal of the character struck me as right even then. Years later and as an established Jane Austen aficionado, Alan Rickman remains Colonel Brandon in my heart and imagination. His quiet strength, unwavering steadiness, deep sense of honor and generous heart not only made the character but hinted at the man I am told Alan Rickman was off set as well. When I was introduced to the world of Harry Potter several years later, Alan Rickman was there again. This time, he still portrayed solemnness but in a far different fashion. Professor Snape develops into one of the more complex characters of the series, an anti-hero of sorts, and Alan Rickman managed to convey all the nuances of what I imagined for Severus as I read the books. He was even J.K. Rowling’s ideal pick for the character. I especially love how Alan Rickman viewed playing “villains.” He was quoted as saying, “I don't play villains, I play very interesting people.” This outlook, and the way he approached each part, caused his appearances to be detailed, artistic, and masterful. 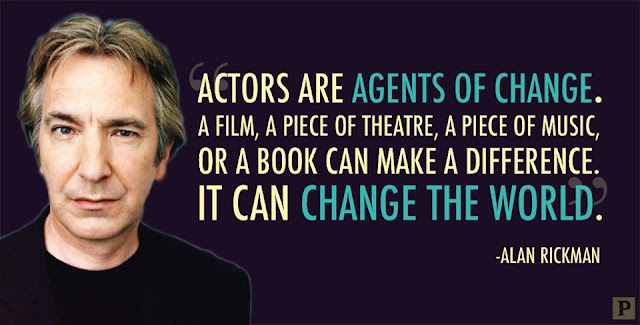 Beyond the two roles I remember him most for, Alan Rickman inspired me in a different way. His acting career didn’t take off until he was past what most people would consider the Hollywood prime age. Yet he delivered brilliant performances and left each production better for his presence. Though I don’t aspire to act, there are days I fear my dreams will pass me by; that if I reach a certain age without accomplishing them, they will be lost forever. Alan Rickman’s nontraditional success, though, reminds me otherwise. No matter which role you fondly remember him for, I believe we can all say that Alan Rickman will be remembered, admired, and missed. Always. 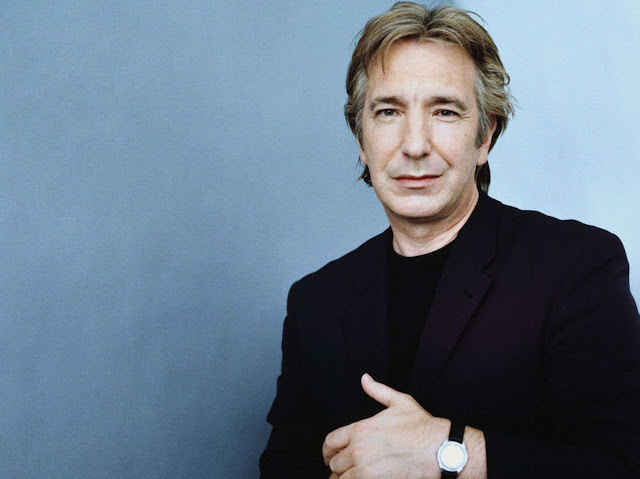 Please feel free to leave your tribute to Alan Rickman in the comments. He was excellent actor. It's so sad, but I love y'all's tribute!